The CMAR leaf blower can be fitted to your CMAR cleaners and scourers installed on a MULTICAR chassis. It adds an extra function to your machine so that you can use it throughout the year. This tool provides a significant increase in productivity to your CMAR vehicle and gives it versatility. The CMAR leaf blower can be fitted to your CMAR cleaners and scourers mounted on a MULTICAR chassis. It adds an extra function to your machine so that you can use it throughout the year. 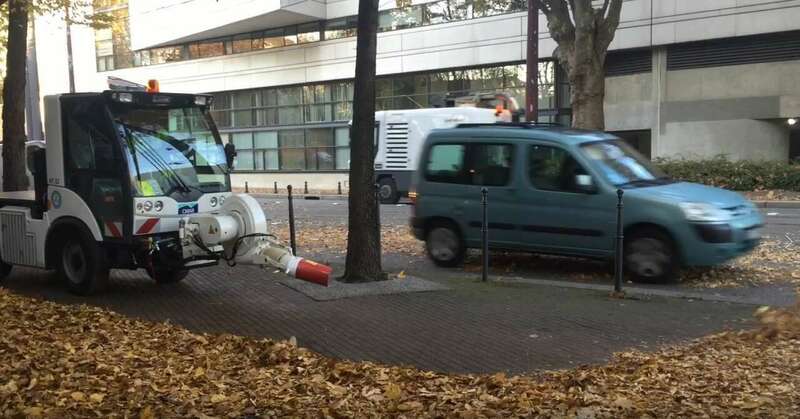 Using its high power fan, the blower blows air to move all the leaves from esplanades, alleys, cycle paths (without having to pick them up). The operator is comfortable seated in the cabin, working in complete safety. Operators do not have to bear the weight of the equipment (as opposed to manual work where operators are on foot and carry the blower). Furthermore, the output is high because the vehicle can move at from 0 to 13 km/hour. This tool is a major gain in productivity and adds versatility to your CMAR vehicle.